Find the latest BBVA Compass Bank deals, bonuses, and promotions here at BankDealGuy! BBVA Compass Bank is physically available in a few states. However, it’s available online for residents in 48 contiguous states! Check out excellent checking, money market, savings, certificate of deposit accounts, and more! See below for our list of BBVA Compass Bank deals. In addition to the range of current promotions from BBVA Compass Bank, you can also take advantage of a range of great promotions from banks such as HSBC Bank, Chase Bank, Discover Bank, Huntington Bank, TD Bank or CIT Bank. The BBVA Compass ClearChoice Money Market Account is similar to a traditional savings account. However, the rates are higher for higher balances. Earn a high promotional rate available online and nationwide. Enjoy one of the few options that lets you earn interest on very high balances, even balances over $5,000,000. Open a new BBVA Compass Bank 12-Month CD Account with a minimum deposit of $500 online today and accelerate your savings. These high-yield rates are available online only and are different from the rates offered in-branch. These online CD accounts are available nationwide. Earn 1.90% APY on your funds with just a $1,000 minimum deposit. The perfect balance between a great fixed rate and flexible money access. Access funds, if needed. No penalty. If you need your funds prior to the maturity date, you can withdraw your money — including any interest earned — beginning seven days after the funds have been received. No penalty. No problem. It’s the security of a CD with the flexibility to access your funds early if you need them. Open a new BBVA Compass ClearChoice Free Checking Account with $25 and you could save $120 compared to other checking accounts. This Free Checking account is available only to residents of states that have physical BBVA Compass branches. Open a new BBVA Compass ClearConnect Checking Account with $25. The ClearConnect Checking is easy to love with easy to use tools for managing your money. Take advantage of BBVA Compass Online and Mobile Banking services when you’re on the go because instant access is instantly gratifying. Get free access to ATMs worldwide when you opt out of monthly Paper Statements to avoid the $3 fee. This is the online-only Checking account that’s available nationwide. To earn your BBVA Compass Bank $200 Bonus, simply open a new checking & savings account and fulfill the simple requirements. If you are opening an account online, use the following page. Additionally, set up and receive a qualifying direct deposit within sixty (60) days of account opening of $500 or more. There is a maximum of one (1) $200 bonus per household. There is a maximum of one Checking Bonus. This oﬀer is not combinable with any other bonus oﬀer. BBVA Compass reserve the right to deduct the bonus amount if the account is closed within 12 months of opening. To earn your BBVA Compass Bank $250 Bonus, simply open a new checking account and fulfill the simple requirements. 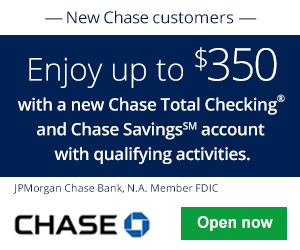 To earn $200, open a qualifying checking account, and then set up and receive a qualifying direct deposit. There is a maximum of one (1) $250 bonus per household. There is a maximum of one Checking Bonus and one Savings Bonus. Workplace Solutions / Compass for Your Cause clients are eligible for this offer. This Account Opening Bonus is not combinable with other BBVA Compass Workplace Solutions / Compass for Your Cause cash bonus promotions. Offer subject to change at any time without notice. To earn your BBVA Compass $150 Checking Bonus, simply open a new checking account and credit card and meet a specified requirements. Credit Funding: Unknown. Let us know! 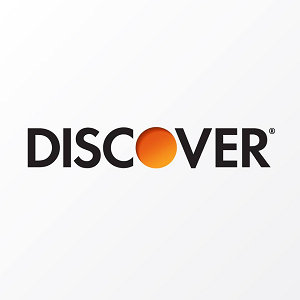 Open a new checking account (Free Checking, ClearConnect Checking, Interest Checking, and Easy Checking). Within sixty (60) days of account opening, at least one electronic deposit of your paycheck, pension or government benefits (such as Social Security) from your employer or the government in the amount of at least $500 must post to the new checking account.